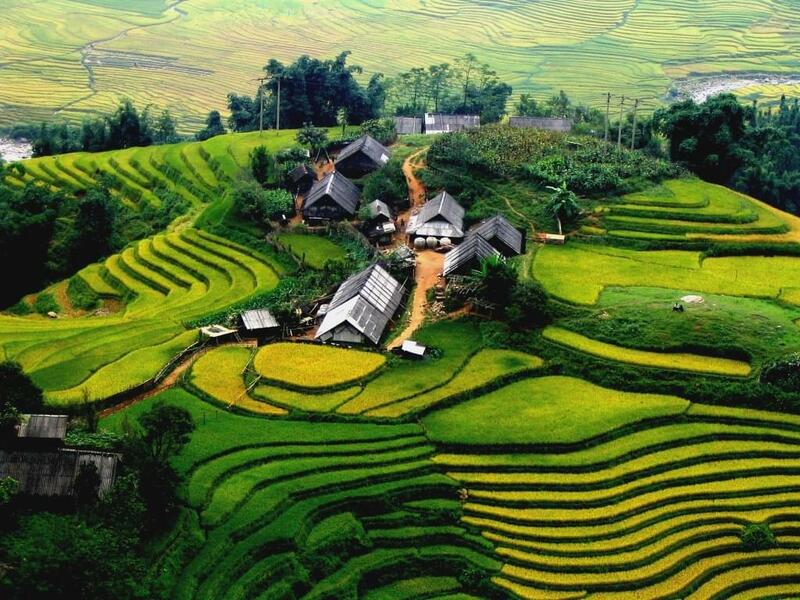 Sapa, Vietnam is a mountainous town – a well-known resort of Sapa district, Lao Cai province, Vietnam. 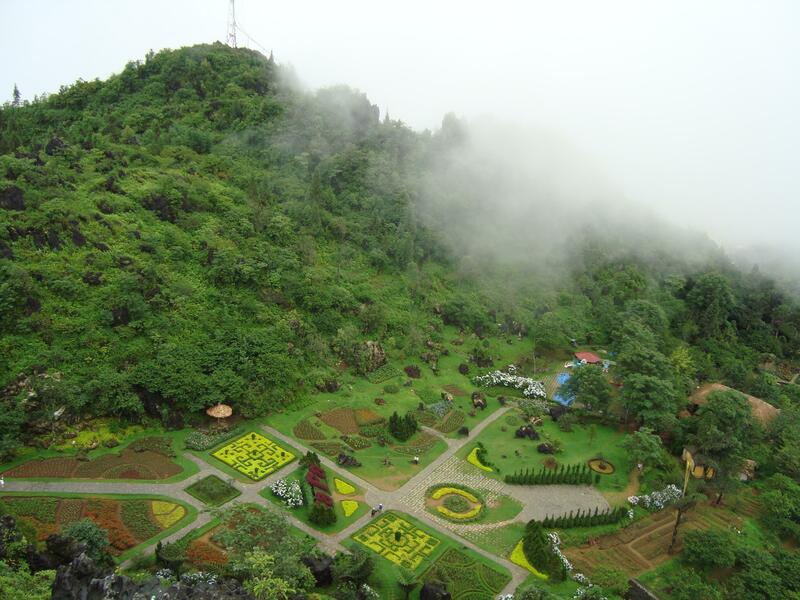 It is located 38 km from Lao Cai city and 376 km from Hanoi. Besides the main road from Lao Cai city, there is another way: Highway 4D from Binh Lu ward, Lai Chau. At the average height of 1500m-1800m above sea level. It hides many wonders of nature, natural sceneries with the hilly topography and the green of the forest that all create the romantic and fascinating painting from the northwest area. 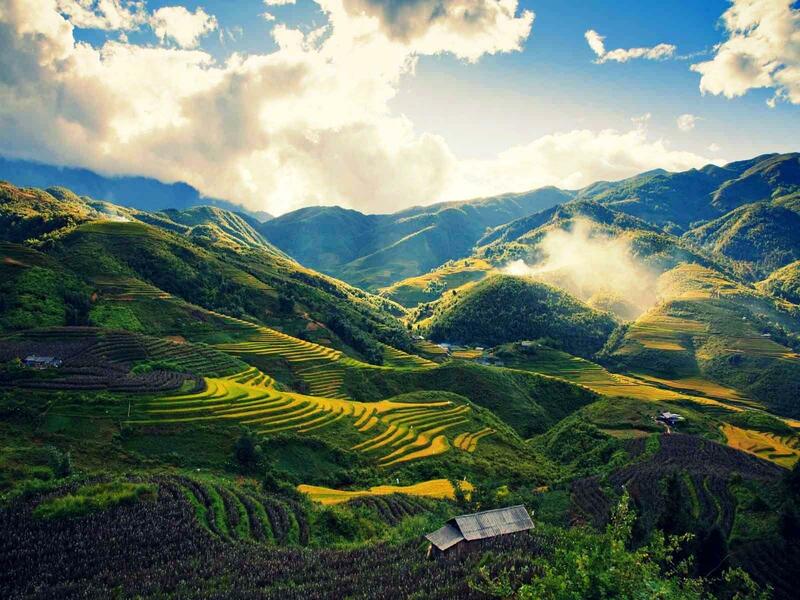 During those times of the year, Sapa’s average temperature is around 150C. In the summer, the sunshine beats down on the town as the coastal plains is around 130 C to 15 0C at night and around 200C to 250C on the day. The winter is rather chilly, foggy and sometimes snowy with temperatures below 00C. 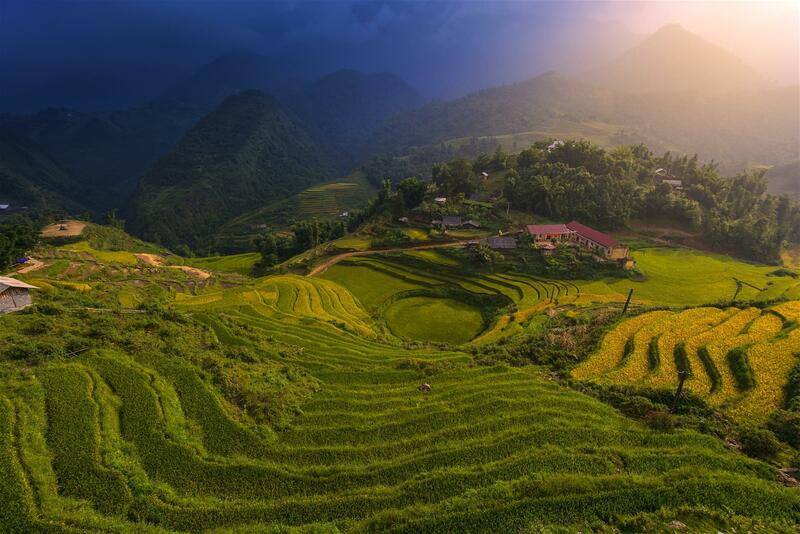 Sapa has seasonal changing weather with the cool atmosphere around the year. There are enough four seasons in one day here: in the morning, it likes the weather of spring. At noon, it is as sunny and cool as the weather of summer. In the afternoon, the cloud and fog fall make us feel a little chilly as the weather of autumn. In the evening, it is the coldness of the winter. Average annual rainfall ranges from 1,800m to 2,200m, most concentrated from May to August. 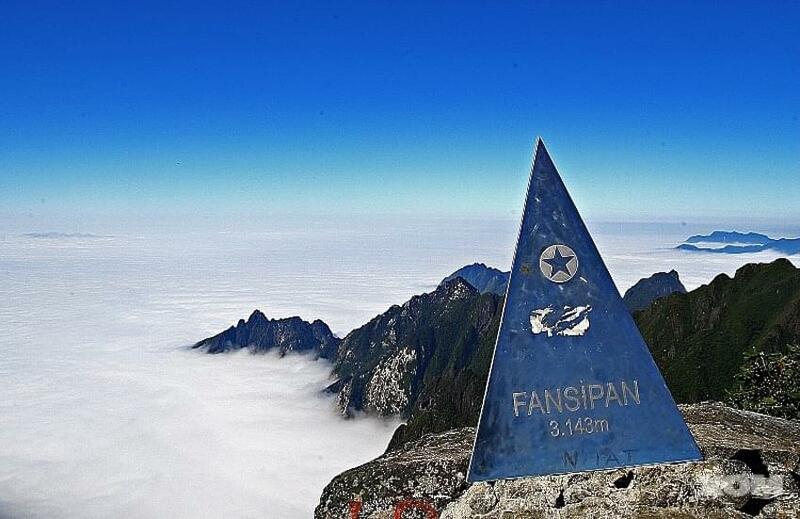 Sapa has the Fansipan mountain, the highest mountain in Vietnam at the height of 3,143m on Hoang Lien range. The flora is diverse with about 2,000 species of rare plants such as Bo tree, rhododendron, azaleas, plum, etc of which about 66 species is listed in Vietnam Red Book, namely blue cypress, bamboo pine, red pine and hundreds of other precious herbs. 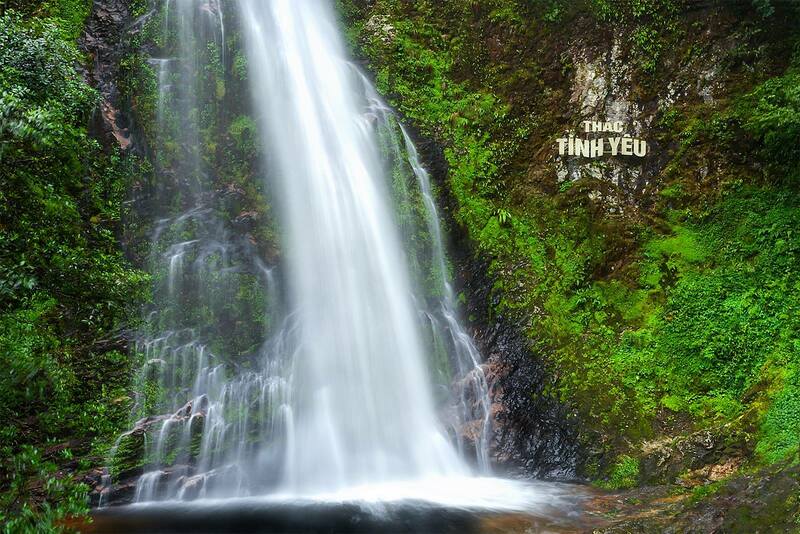 Hoang Lien Son National Park is home to 347 species of birds, 66 species of mammals and 553 species of insects, in which 16 species is listed in Vietnam Red Book. Adjacent to the town, Ham Rong mountain is a must-go place for tourists to see the view of Sapa town, Muong Hoa valley, Sa Pa, Ta Phin looming in the thin veil of the early morning. With a perfect combination of man-made and natural landscape, Ham Rong is known as a royal garden with blooming flowers all year round. The higher you go, the more wonderful the scenery is to see and take photos with orchard gardens, Heaven gates, San May, peach gardens. 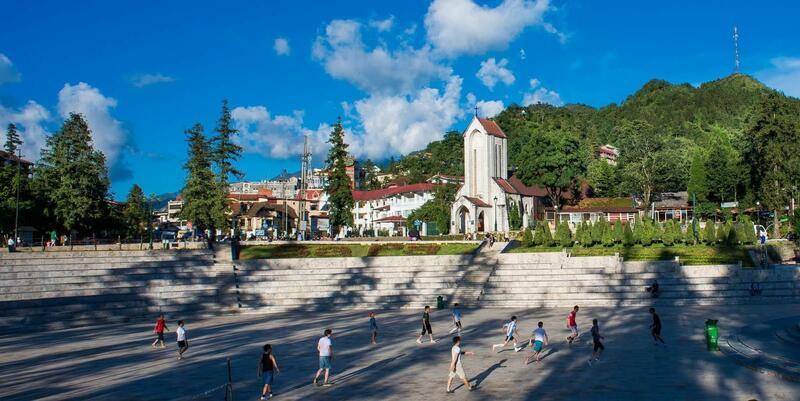 At the altitude of 1800m, visitors can enjoy the imposing panorama of Sapa town. It is regarded as the most amazing point because they feel the intersection of heaven and earth and leisurely walk on clouds at this height. 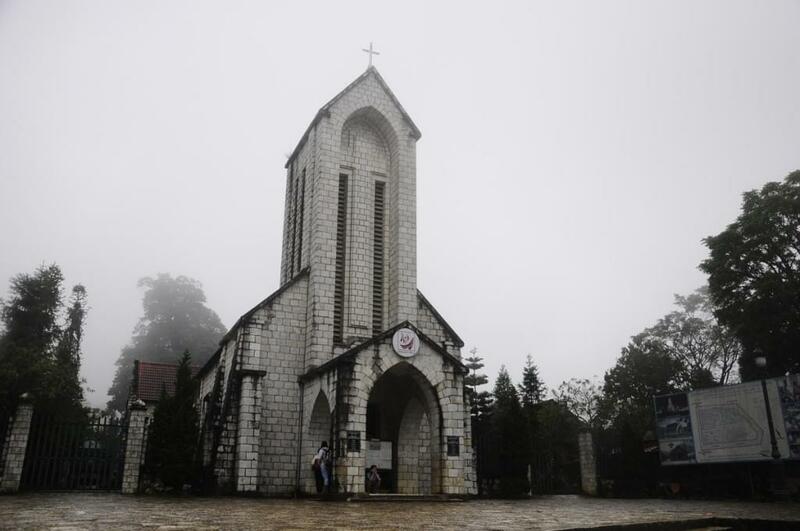 Sapa Old Stone Church was built in 1895 and is the unique architectural imprint of the French left in Sapa. It is located on a prime location, shielded by Ham Rong mountain on the back and the front is a large flat area where takes place the colorful festivals of mountain town. The shape and architecture of the Church was built in the shape of the cross in Roman Gothic architecture, which reflects through the roof, the bell tower and the arches. Sapa has a stone church in Sapa town and from there go back to the northeast, on the road to Ta Phin cave, it has a monastery built by stone on a cool hillside. Through this monastery, we will walk three kilometers northward to Ta Phin cave with a capacity of a number of the regiment of the army. In the cave, stalactites create the interesting and magical shapes. Especially in Muong Hoa valley, it has 196 stones carved with the mysterious graphics by the ancient inhabitants thousands of years ago that many archaeologists have not deciphered yet. This carved area is ranked as the national monument. 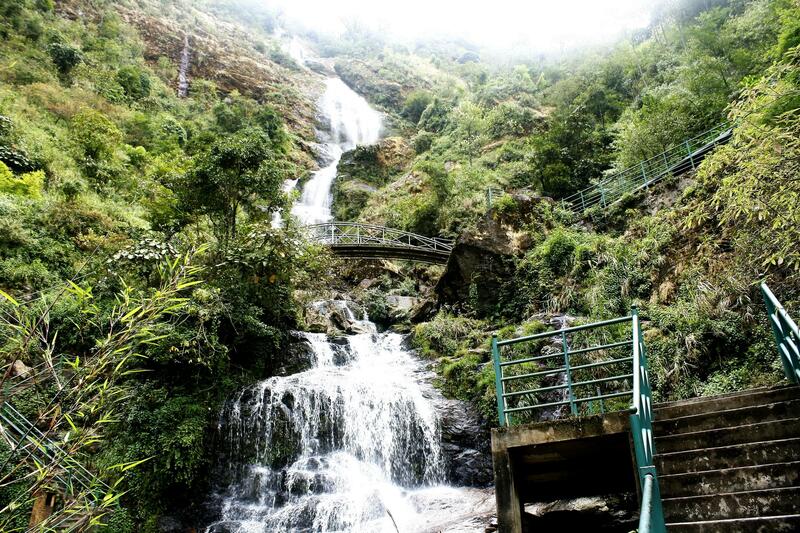 About 12km from the Sapa town, we will see Silver Waterfall which lies beside National Highway No 4D. With the rushing waters from a height of over 200m, they form the impressive sound of the mountain and the waterfall looks like a dragon looming down from the sky. Love Waterfall- Golden Stream is located in San San Ho commune and about 14 km from Sapa town, also lies on Fansipan trekking journey. The falls are associated with the legend of the love story between the O Quy Ho woodcutter- the son of God of mountain and the seventh fairy. From far sight, Love waterfall looks like a cone with the two blue vegetation cover sides. The loving couples come here are believed to have the faithful love.